Marvin Randolph is President of ONYX Communications – a full service political management firm; with decades of experience leading and winning national campaigns, designing high-level strategies, developing pinpoint messaging, and creating compelling content on all platforms. Specializing in phones, digital advocacy, and voter engagement, Marvin is uniquely experienced at creating impactful conversations with voters, particularly members of the New American Majority and Rising American Electorate. His company, ONYX, designs custom communications solutions that put clients on the path to achieve their goals. With political roots that run deep and success in every corner of the country, his experiences offers clients a unique perspective on how best to design and execute winning campaign strategies. Marvin also serves as President and CEO of 501(c)(4) and (c)(3) sister organizations, the Southern Elections Fund (SEF), founded by Julian Bond, and the Southern Engagement Foundation, co-founded by Bond and Ben Jealous. He leads the organization’s efforts to combat voter suppression and accelerate the impact of the South’s rapidly changing demographics; fulfilling its mission of expanding the electorate, developing new leaders of color, and building long-term power and capacity around their issues to enhance political power and bring progressive change. Marvin served as Senior Vice President for Campaigns at the NAACP providing strategic direction to advance the organization’s priorities through a comprehensive strategy at both a national and local level. He envisioned and developed the NAACP’s historic 2012 non-partisan civic engagement plan, and served as the Association’s primary liaison to subsidiaries and partner organizations. He provided direct supervision to multiple teams within the NAACP while also leading multi-departmental teams for rapid response campaigns. In the 2012 Presidential cycle, Marvin led the NAACP’s This Is My Vote! Campaign, building the largest voter registration and mobilization campaign in the Association’s history. The 2012 campaign registered 366,828 voters (3 times greater than in 2008), and mobilized 1.2 million; producing results that eclipsed the NAACP’s high watermark set in 2008. The success of this effort was further evidenced by the 2012 census report that Black turnout surpassed the turnout of White voters for the first time in history. Working over three decades on more than 120 campaigns in 31 states across the nation, Marvin is highly skilled as a trainer, coach, activist, and advocate. A veteran of political campaigns and a nationally recognized expert in civic engagement and voter contact strategy, Marvin possesses a unique set of campaign skills. As a senior campaign strategist, he has earned a reputation for winning tough initiatives — electoral, referendum and issue. Marvin has served on the staff of the Democratic National Committee and Service Employees International Union (SEIU); directed primary operations in three states for Clinton/Gore (MS, AL, VA); served as the Founding Executive Director of Virginia Citizen Action, and as National Executive Director of Project Vote. He has also served as Organizing Director and Political Director for the Center for Community Change and later as Deputy Executive Director of the Center’s 501(c)(4) Campaign for Community Change Action. 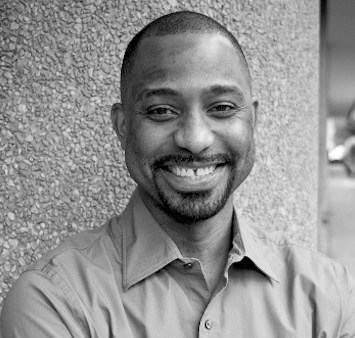 As a former Managing Partner in Urbanomics Consulting Group, Marvin oversaw the Washington, DC operations while directing legislative, political and grassroots strategies for client engagements. He also served as Senior Account Executive for a direct-mail firm, The Baughman Company, managing accounts for clients ranging from presidential to municipal. Marvin resides in the Washington, D.C. metro area.